Wondering If Assisted Living is the Right Choice for Your Senior Parent? Your parents have lived in their home for years, raised you and helped guide you on a path to become a responsible, caring adult. As you watch them age, you may wonder how well they can handle living at home in their golden years. Age creeps up on us all and will eventually prevent your parents from being able to maintain their home or get around without help. 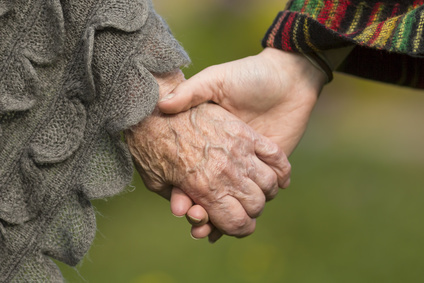 Assisted living for senior parents may be the best solution. Though you may think that assisted living could help improve their situation, your parents might object to change. After all, they have many years and memories tied into their home and will not want to leave it all behind. If you’re unsure how to bring up the topic of assisted living to your parents, staying focused and sharing your emotions can go a long way in creating a positive dialog. Rather than begin the conversation directly, mention a friend’s parents who have chosen assisted living or hired an in-home assistant to help around the house. Share your emotions with your parents, asking them what you can do to help make their lives easier. Always express your concerns during the conversation without being critical or using role reversal. Bring up certain issues during the conversation that help your parents see your point. Perhaps their home is too big for their needs, or maybe they don’t feel comfortable driving to the grocery store or a doctor’s appointment. Do they have trouble hearing the phone ring or remembering if they turned off the stove? Bring up ways that can help them improve their situation, such as senior shuttle services or moving to an assisted community. Your parents are likely to meet your concerns with resistance. If so, respect their feelings, and try not to push the issues. You can always try again later using a different method, such as involving their friends or other family members. Though your parents have every right to make their own choices, don’t be afraid to involve a third party if their situation worsens. No matter the outcome, always tell your parents the truth. Let them know how worried you are about their care and that you want to see them safe, happy and healthy. After some time, your parents may see things your way and make the right decision to better their future. Can Activities Like Reading Help to Prevent Dementia?